We give where we live. 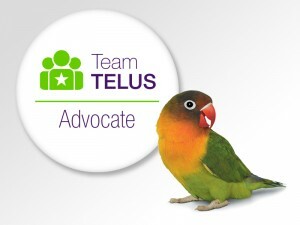 Disclaimer – I am a #TeamTELUS advocate and this post was written in affiliation with TELUS. As always, all thoughts and opinions expressed on this blog are my own. Volunteerism is high on our list of values we want to instil in Little One. Service to community, whether it be the involvement in labour, fundraising, baking, or other, every bit of help is valuable. Our family has a few charities and causes that are close to our hearts and we support these causes year-round. Since Little One was born at 28 weeks and was born at Mount Sinai Hospital in Toronto, we support the hospital and the NICU monthly. The work the doctors, nurses, and staff do is incredible. Little One would probably not be here today if it were not for the medical team and the NICU staff at Mount Sinai. To them we owe our deepest thanks. Because of my father’s heart condition, we support the Heart and Stroke Foundation. John and I have both lost loved ones to cancer, so we feel it is important for us to support the Canadian Cancer Society and the Princess Margaret Cancer Foundation. Our daughter will be turning ten years old next week, and the message we try to hit home is that acts of service and volunteering are important not only because they are needed, but because they give us a greater sense of the world around us. We tell her that we do not announce to everyone that we do what we do, but we do it because we want to and because it is important to us as a family. Acts of kindness without others knowing that you have done them have great value. It warms my heart to see Little One do things like leaving baked goods at people’s doorsteps or leaving positive Post-It notes wherever she goes. When she goes to the store to buy a treat for herself with money she has saved up, oftentimes she will buy an extra treat for a friend, for John or me, or for the Food Bank. “You don’t have to tell people you’re doing something kind. Just do it.” This said, I’ve mentioned a few of the causes we support in this blog post, because I would love to get the word out and hopefully more people can support them. We are trying to teach our child that what is important are acts of kindness from the heart (and without expectation of acknowledgement). The simple act of doing is the reward. Volunteering is fun, connects people, makes a difference, enables one to be appreciated, learn new skills, become aware of what life is like for those less privileged, and those who volunteer can possibly explore job and career possibilities. For us, supporting locally is also important. We support local businesses and fellow farmers. There are many fundraising events on the island, as well as many charitable organizations. Living in the rural North, it is common for us to attend spaghetti suppers at local community halls or a fish fry here and there! Supporting locally is so important to us. My first connection to TELUS was back in 2000 when I returned from two years of teaching overseas. I had a flip phone (which I thought was SO cool back in the day) and TELUS was my network provider. Almost nineteen years later, and they’re still my network provider! Only now, TELUS is so much more than just keeping me digitally connected. TELUS’ community investment and philosophy of giving where we live is inspiring. They’ve cultivated a giving culture, where people across the nation along with the TELUS team have donated hundreds of thousands of hours of their time each year to various causes. In areas of health, education, and the environment, Canadians are giving where we live. Because of the TELUS philosophy of giving where we live, I hold them in high regard. Taking care of community is a value we share. I was able to experience that first-hand when I was in Vancouver with TELUS this year. As #TeamTELUS Advocates, my peers and I were able to make a difference in the lives of children in the Greater Vancouver Area by packing 500 backpacks with food for Backpack Buddies. In the past few years, with the help of TELUS, we have been able to give where we live. The other year, we were able to help newcomers to Canada when a few Eritrean families were welcomed to the community. 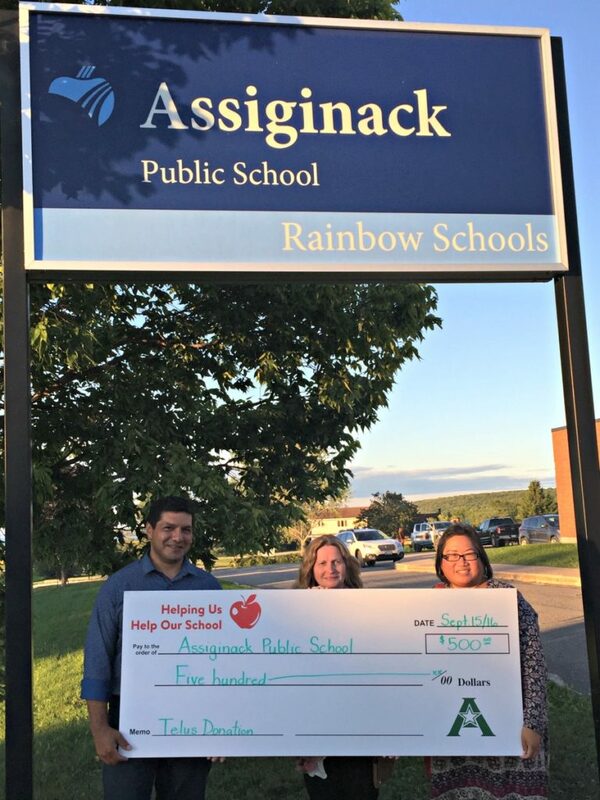 We were able to support learners of English as a second language by donating $500 for the ESL students at Assiginack Public School. The donation by TELUS on my behalf enabled the school to purchase an iPad and ESL apps and programs for the Eritrean students that attended the school. Each year, Little One and I come up with a list of local organizations we would like to support. Though there are many causes we would like to support, this year, we chose to support Manitoulin Pet Rescue. A BIG thank you to TELUS for helping us Give Where We Live! On Manitoulin Island, there is a need for forever homes for kittens, cats, puppies, and dogs. Because Manitoulin Pet Rescue is a not-for-profit organization and is sustained by public donations, every donation counts. “Manitoulin Pet Rescue is a volunteer operated, not-for-profit charitable organization. We opened our doors in September 2015. 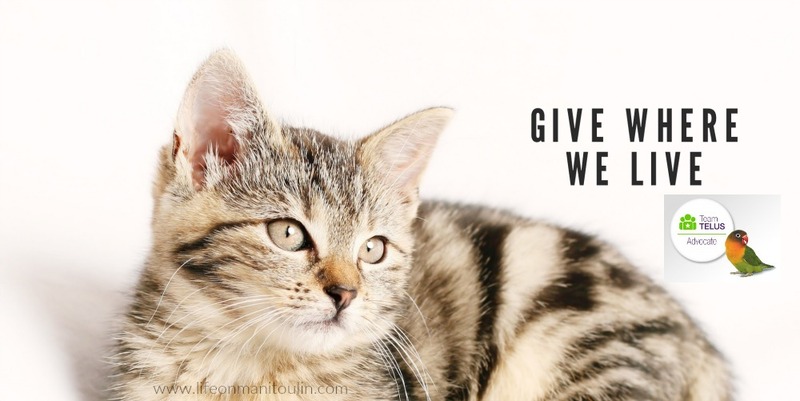 Our goal is dedicated to rescuing and re-homing the unwanted or displaced cats and dogs of Manitoulin Island and the North Shore. We are also available to help other neighbouring rescues if we have the space and funds available to assist. To date in three short years we have rescued and re-homed 177 Cats & Kittens and 217 dogs and puppies and have found them their forever homes. 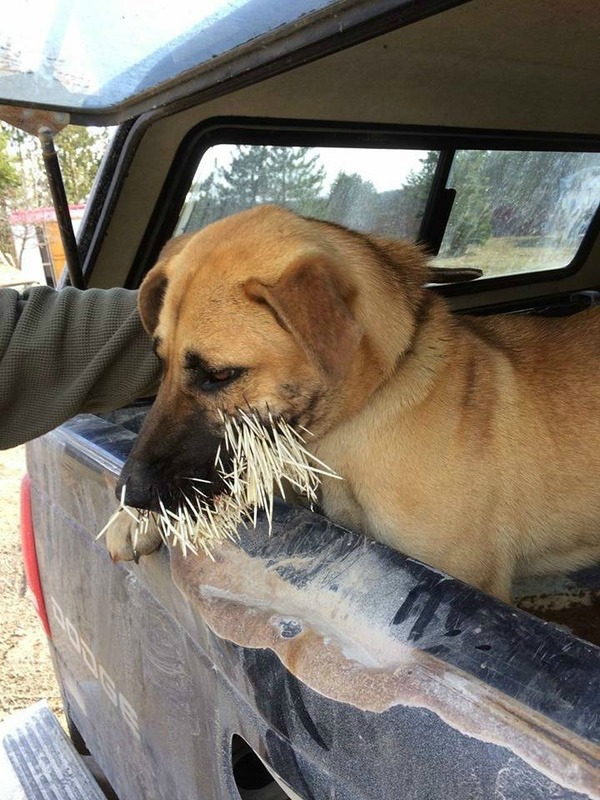 Here are just a few photos Manitoulin Pet Rescue shared with us. Annie – Found collapsed on Hwy 6. 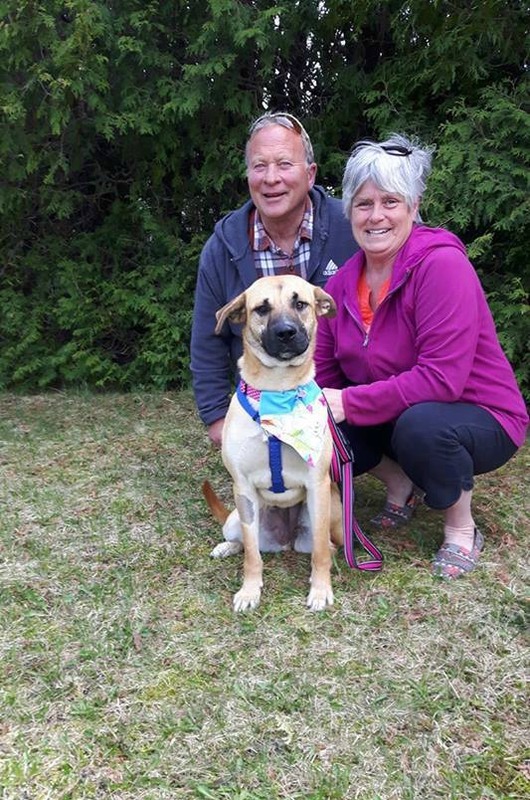 Annie with her forever family after being in our care for many weeks. If you would like to know more about Manitoulin Pet Rescue or if you would like to contact them, you can visit their Facebook page. What are some causes that you support and hold close to your heart? Let us know in the comments below! We hope this post inspires fellow Canadians to Give Where We Live. Your raising your little one right. That is for sure. I love how much you teach her about sharing & giving. 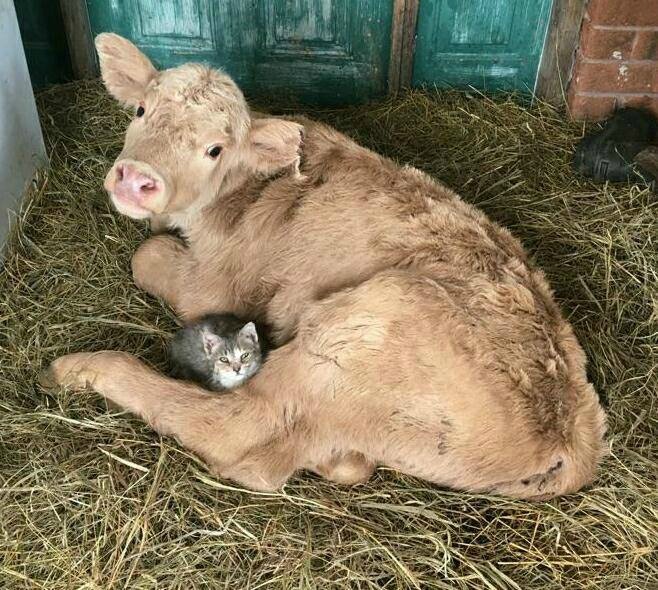 From the hospital to where she was born to animal rescue. I wish more people were like your family. Aww, I love this! Give where you live means getting to see how it impacts your community – a wonderful gift to the giver and recipients alike 🙂 Thank you for being so awesome! This is such a heartwarming post. Wonderful all around. Animal lovers thank people like you, Manitoulin Pet Rescue and TELUS. Thank you so much Team Telus and Christine Lee McNaughton for choosing Manitoulin Pet Rescue to support this year! These funds are so needed and go directly to helping the animals in our care…. with your help we can continue to make a difference in the lives of so many. From all of us here at Manitoulin Rescue You guys Rock!! !